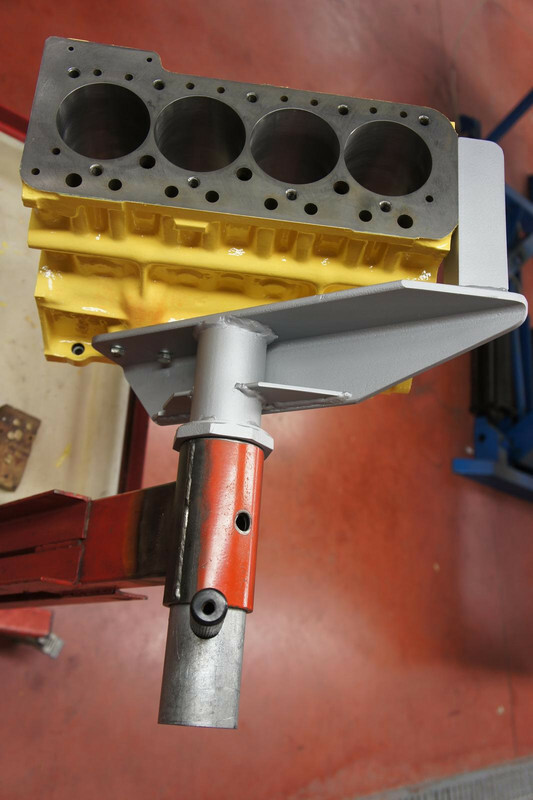 #1 Revolutionary XK Engine Stand Adapter ? 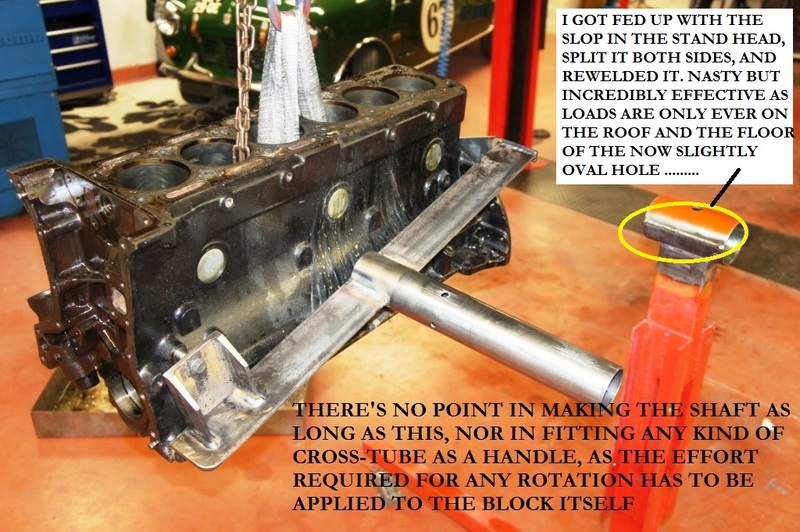 I really can't live with the massive over-hang and puny adjustable fingers you see when engines are attached longitudinally to the omni-present Machine Mart or Clarkes engine stands, particularly with an in-line six like the XK lump which frightens me enough already even when it's on the ground. That exchange itself speaks volumes about why we all secretly hate the method, and the picture below confirms what we are all frightened of. Furthermore, access is poor - working on the flanks is great, if there was anything to do there, whereas work on the all-important rear seal area in any comfort is impossible. I have been thinking for years that there MUST be a better way. 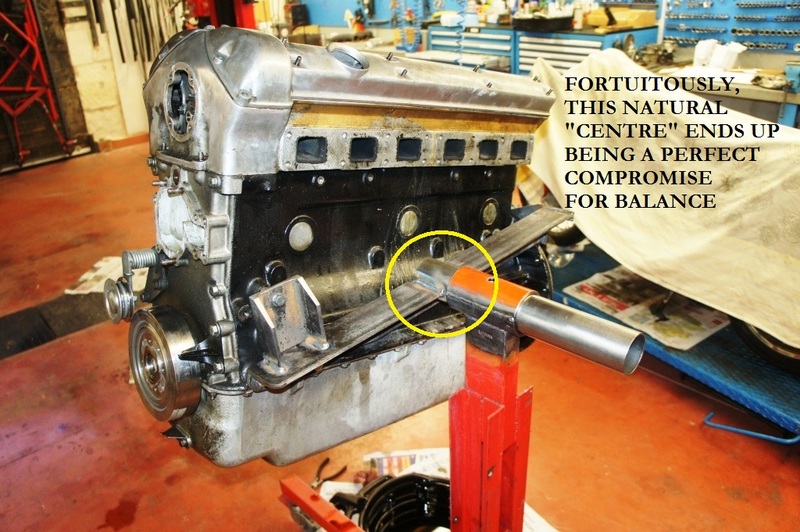 goes off the back of the engine, and spreads the loads widely through two-plane attachment. In this way a 99% complete A-Series can be built up in comfort and with near-perfect balance. 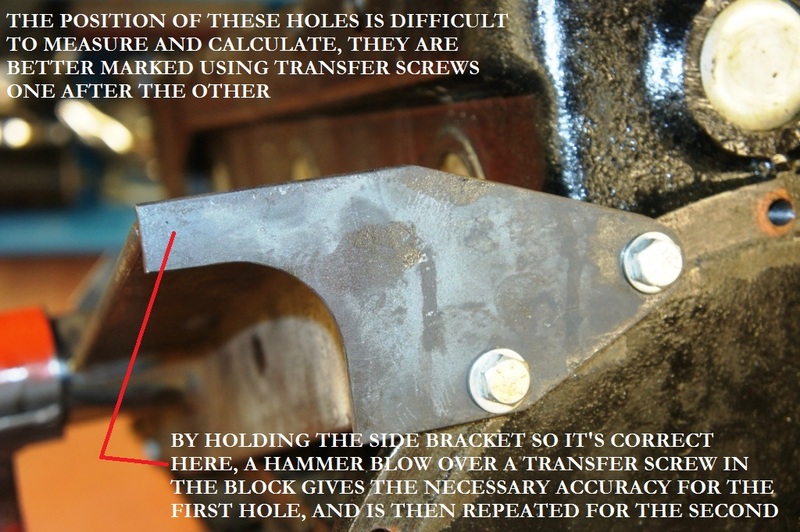 All other adapters use a horrible off-set mounting on the alternator attachments on the front. I wanted to try a similar approach and make something for the XK engine. 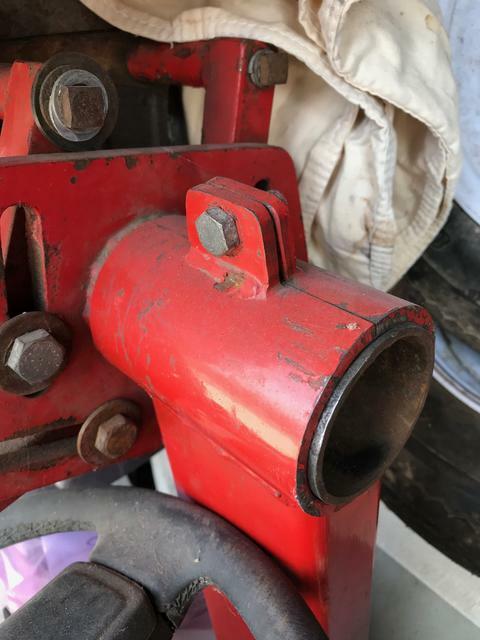 Note that the trick here on the Mini version is using a bung that protrudes into the fuel-pump socket, so that the 5/16 UNC bolts on either side actually don't do very much work. 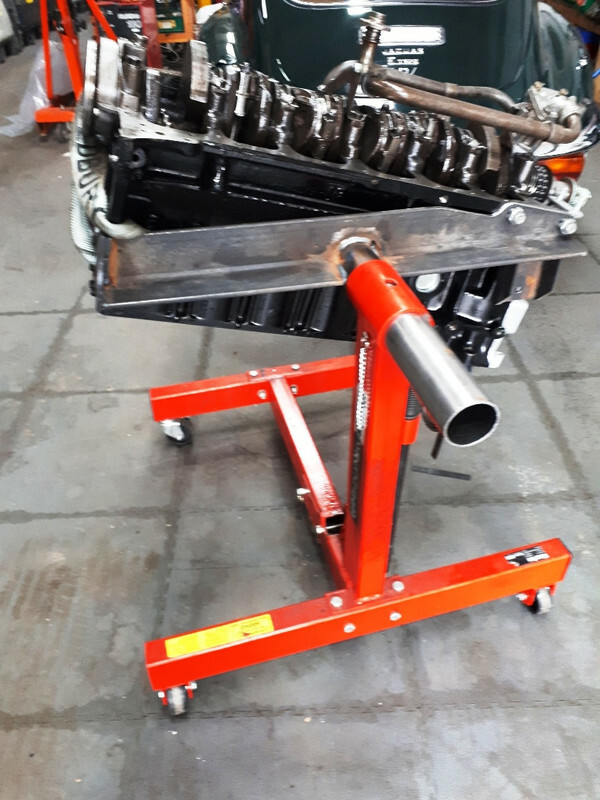 Now, for the Jaguar engine, there was a rather clunky attempt posted elsewhere which turned the whole construction into a dock-yard job, with everything machined and brackets and struts bolted together. This one, however, took me just one Sunday afternoon and requires no particularly accurate operations or machine-tools. 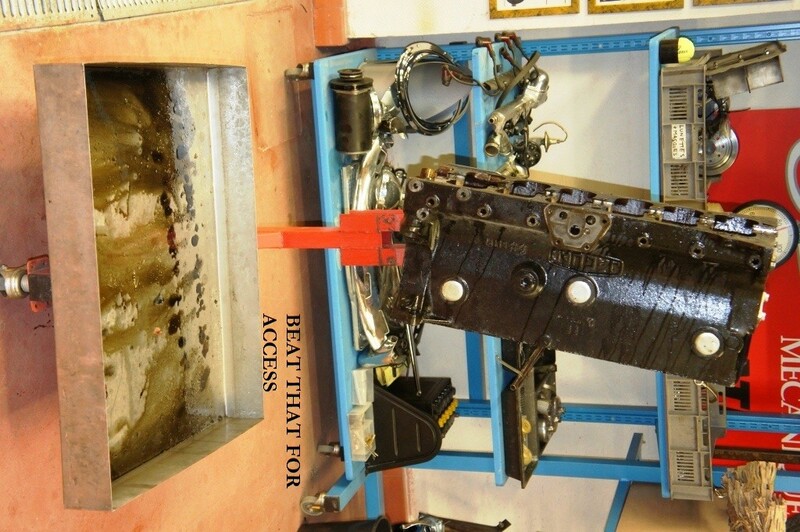 These are pictures of the result, sometimes the prototype is crap and I photograph the Mark 2 - however on this occasion it was right first time and I've just used it to completely dismantle the E-Type engine. 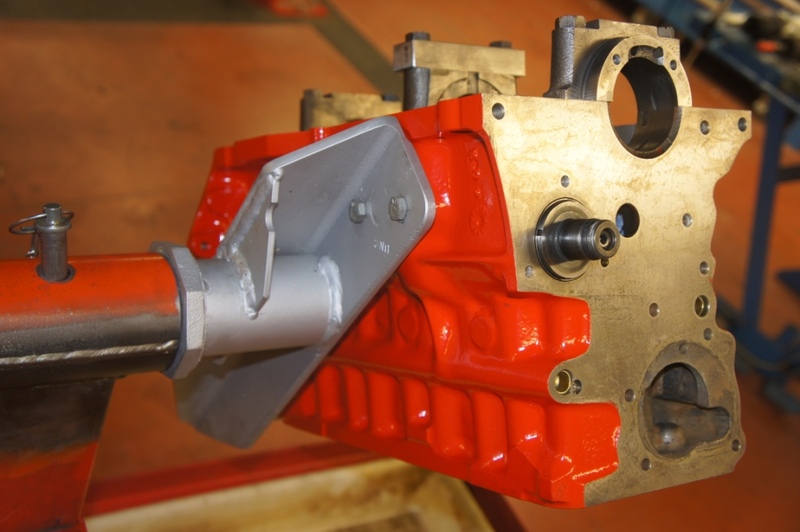 The massive torque imposed on the "crab" is comfortably coped with by the addition of the upper brace onto the dynamo/alternator mounting, and the introduction of the bell-housing plate whose bolts are working in pure shear. 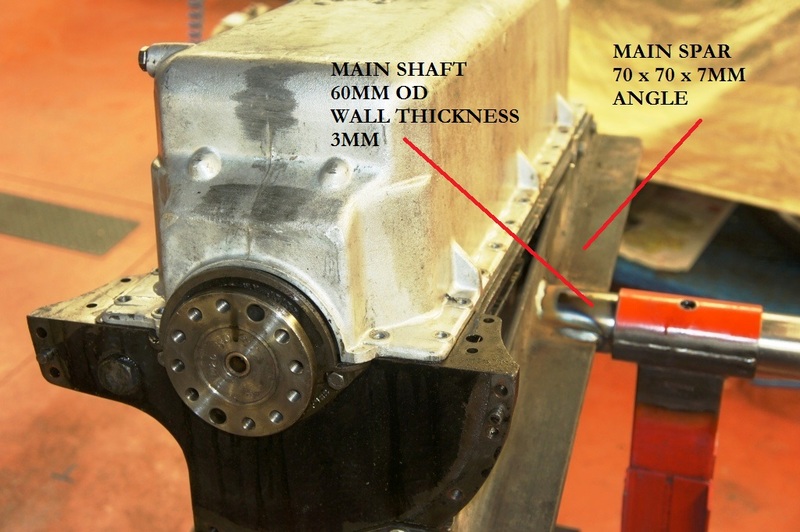 Furthermore, the loads on the head of the engine stand are greatly reduced because of the lack of over-hang, so the engine rotates easily, and - as luck would have it - the main shaft ends up in a position that seems to be a happy compromise regarding balance whatever the state of assembly or disassembly of the motor. This is not intended as a How-To guide, just some suggestions that would have helped me focus on the critical issues. 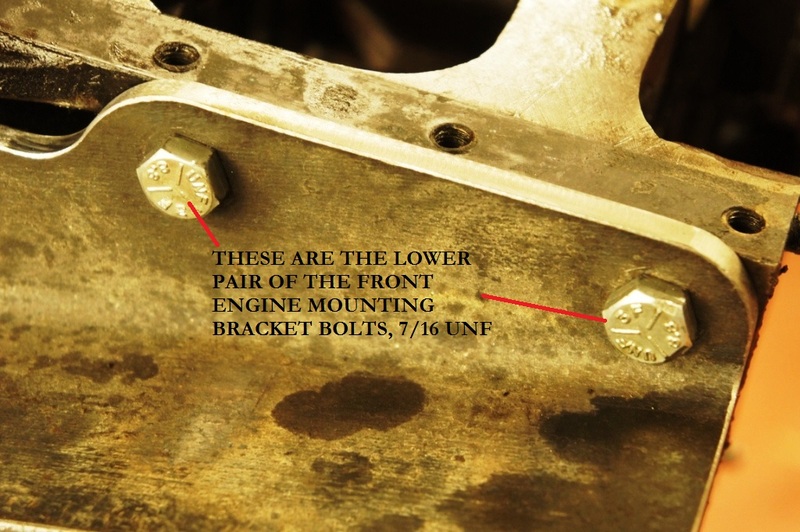 If you make the main spar so it's a few cm too long on the RH end, once it's anchored by the two lower front engine mounting 7/16" bolts you can easily project onto it the alignment of the bell-housing face at the back, using a steel-rule, and in that way cut it to the required length and at the required angle for a snug fit to the side-plate, which I cut from 8mm plate. 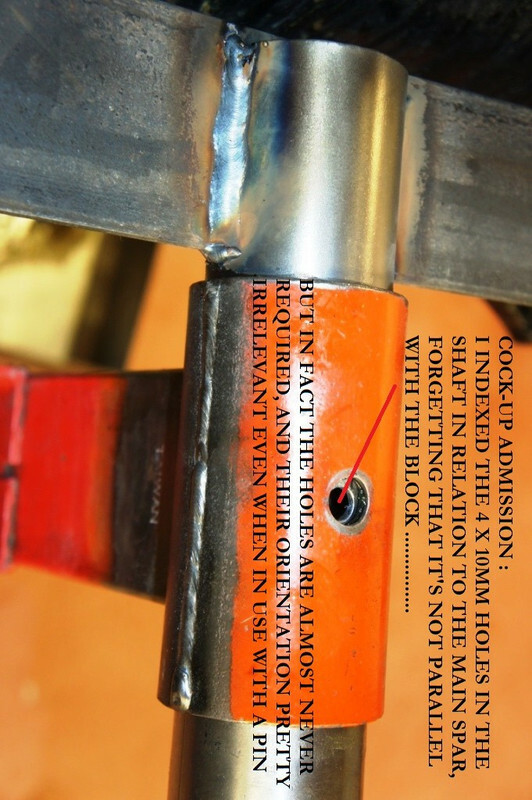 Other details : all the welded junctions were cut back 45° to give better penetration ; the pictures of the transfer screws show how to get the holes accurate without having to give them loads of slop ; careful marking and cutting of the throat slots in the main shaft makes for optimum assembly strength onto the main spar. 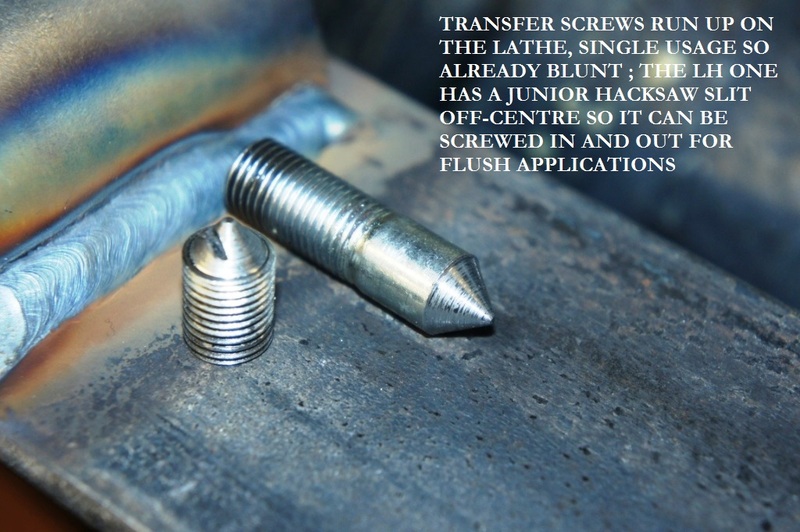 References elsewhere to "propping up the crank nose with a length of wooden spar" or anxieties about "what grade of bolts to use", when using the conventional long-overhang method, show just how awful that method really is. 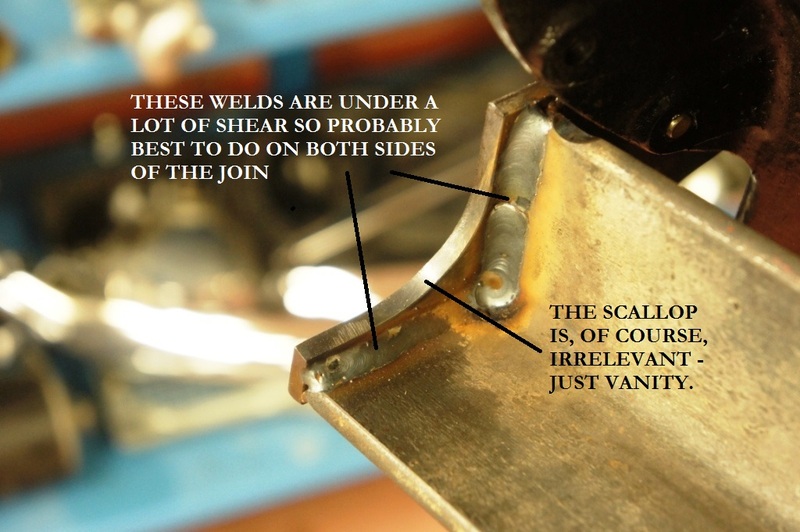 There's perhaps an opportunity for someone to make these as a kit of parts that the purchaser could then weld together, using his own engine as a reference ; hey Dave ?! 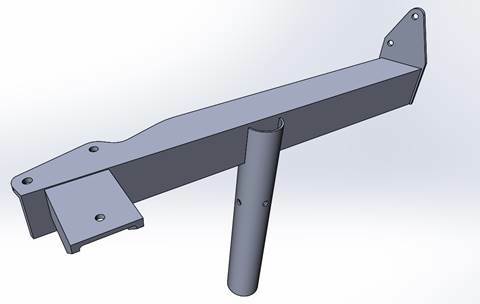 Given the length of the jig, I'd not be 100% confident that you could make a one-size-fits all without leaving excessive slop in all the holes to cope with machining differences between different engines, but I may be worrying about nothing. Last edited by rfs1957 on Tue Feb 26, 2019 4:39 pm, edited 10 times in total. Mark, whilst the block is at Chesman I don't need the engine crab, it'll be a couple of months probably. So for the cost of the postage you cab have it for that time. 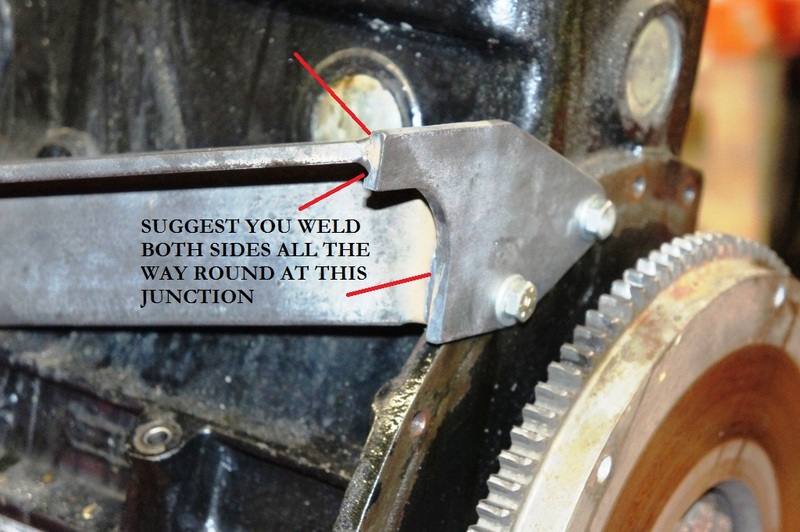 You need to make sure that the throat of whatever Machine-Mart or Clarkes engine stand you use has a 60mm bore, my stand is MM but is at least 25 years old. 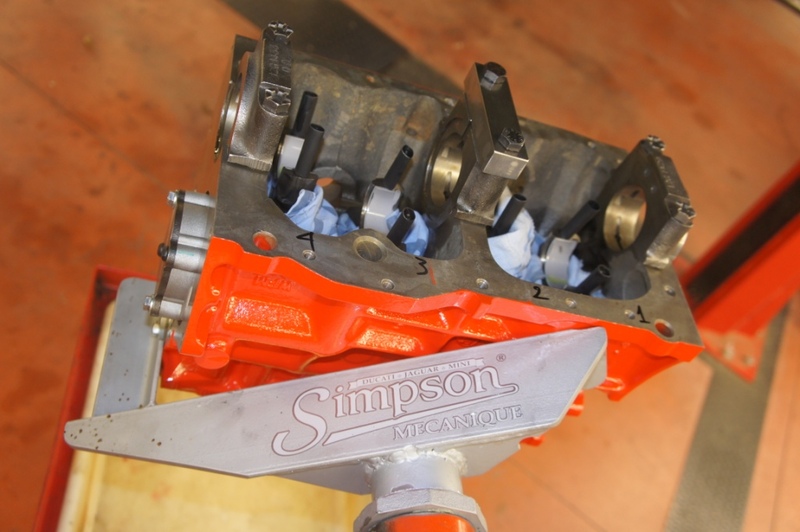 You will then be able to see if you like it, see how much the holes need filing to fit another engine, and even show it to a general metal-fabricator to get a copy made ? I've added some more pictures to this. Could engine-stand owners confirm that 60mm is indeed the standardised size of the main pivot tube across most of the egine stands we're all using ? I'm looking into getting these made commercially. I like this design , it's simple, easy to make and most of all safe ! It's neat, but is it really comparable ? And is it easier to make ? I doubt it. 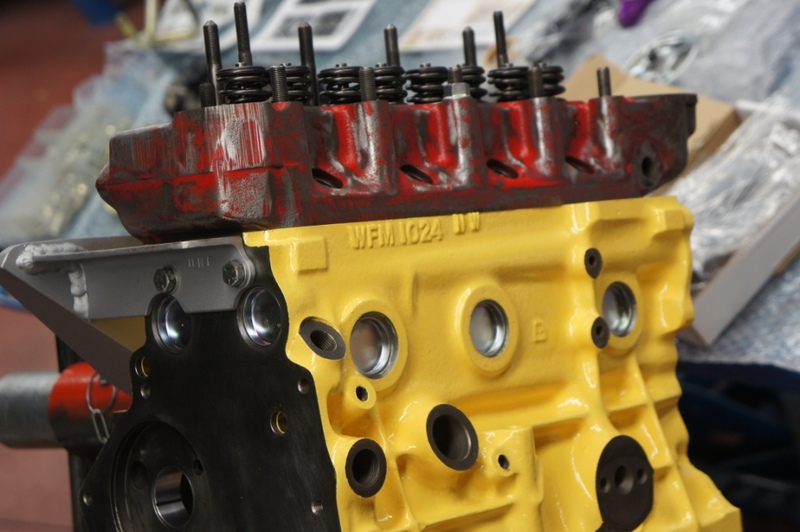 It's of no use on any other engine, gearbox, or differential, and it's only as safe as its constructor's skills, just like any other engine stand. 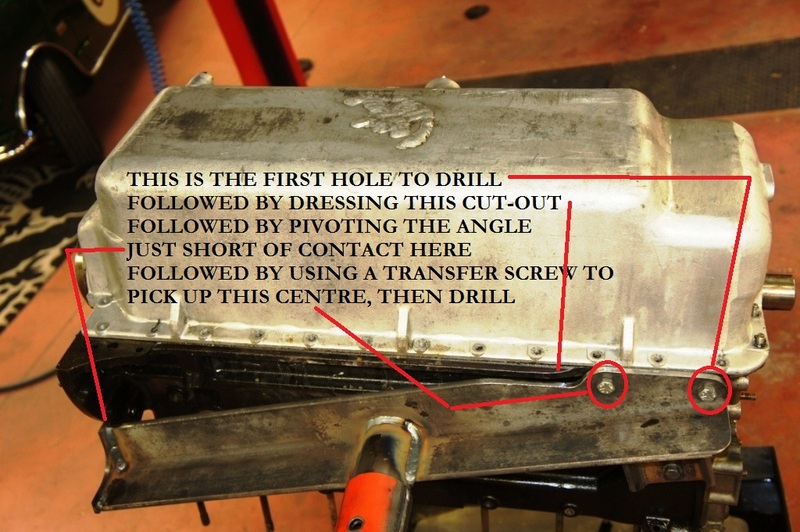 And it requires fabrication skills that only 1% of E-Type owners have. 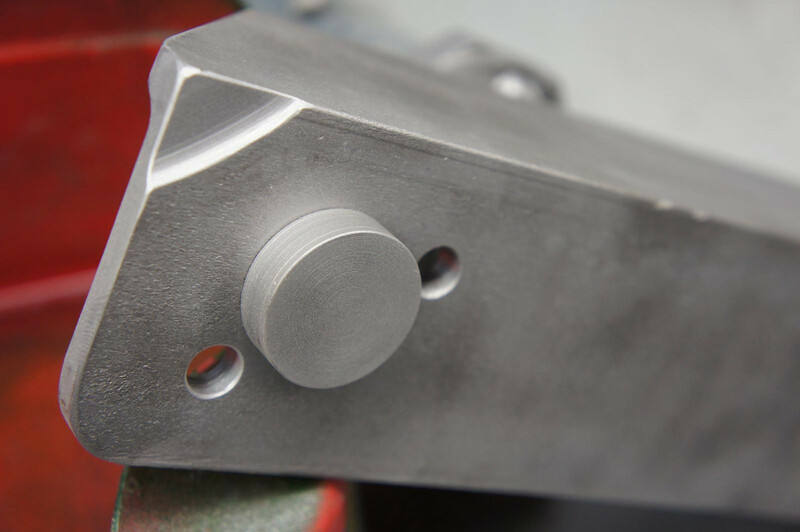 Personally I have about 10 different jigs that just slide into the 60mm head, and once you've got a length of 60mm pipe in stock you can knock up really useful tools in the space of a few minutes. 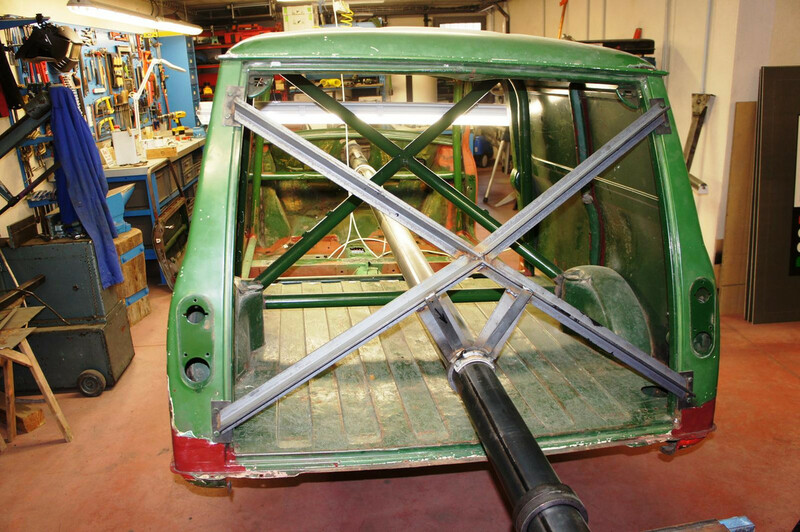 How about this for E-Type doors - for rotational accessibility during restoration, painting, waxoyling, and assembly ? Last edited by rfs1957 on Wed Apr 18, 2018 9:42 am, edited 1 time in total. I have just two comments, Rory. 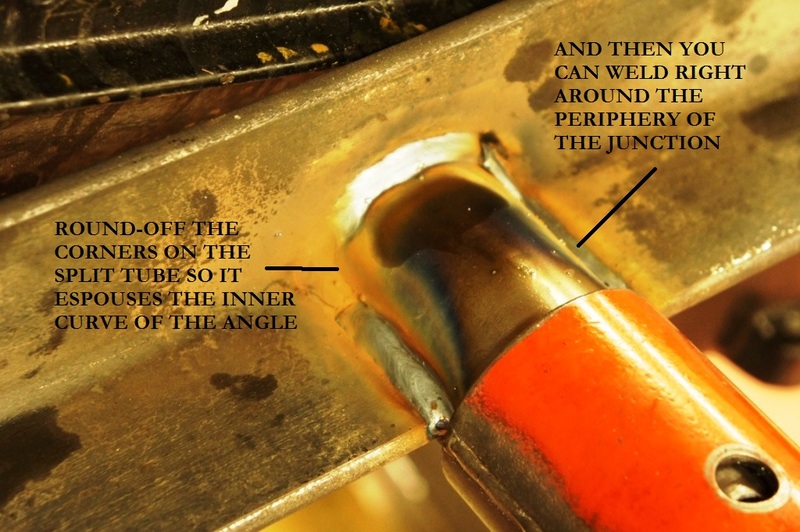 Clearly you have skills wielding a welding torch. And, man, your garage is HUGE. Yup, spoiled rotten, plus it's often warm/dry enough to work outside on the dirty stuff. And the boulangerie is a 4-minute walk down the alley. Smell those croissants, Chris ? PS - the diff one is Kingzetts's work not mine. Rory, you make up some useful bits of kit to make work easier. 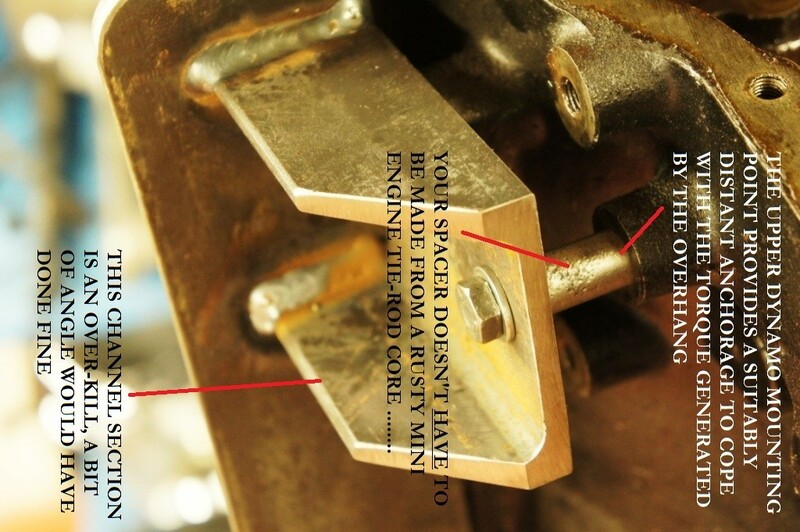 Do you see the door rotisserie attachment brackets being compatible with the bonnet rotisserie you designed? 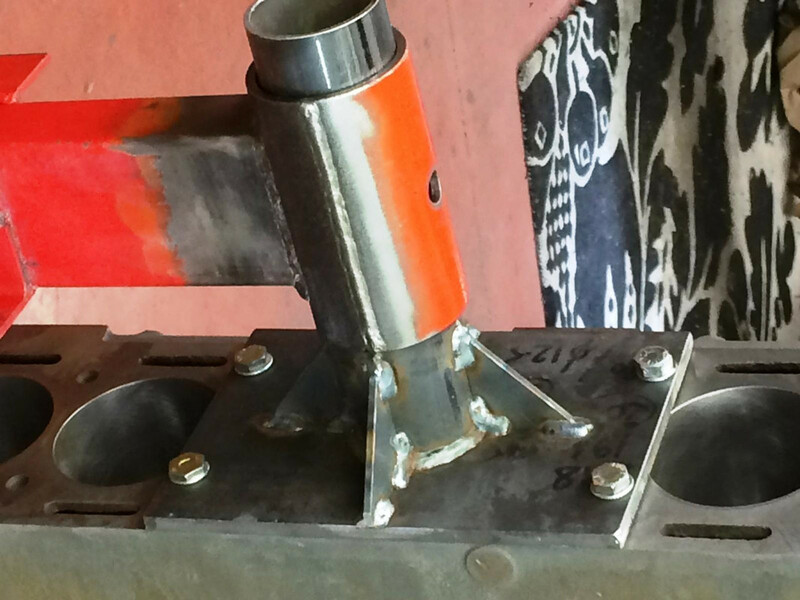 One stand with a set of brackets depending on what you plan to hang on there and work on? 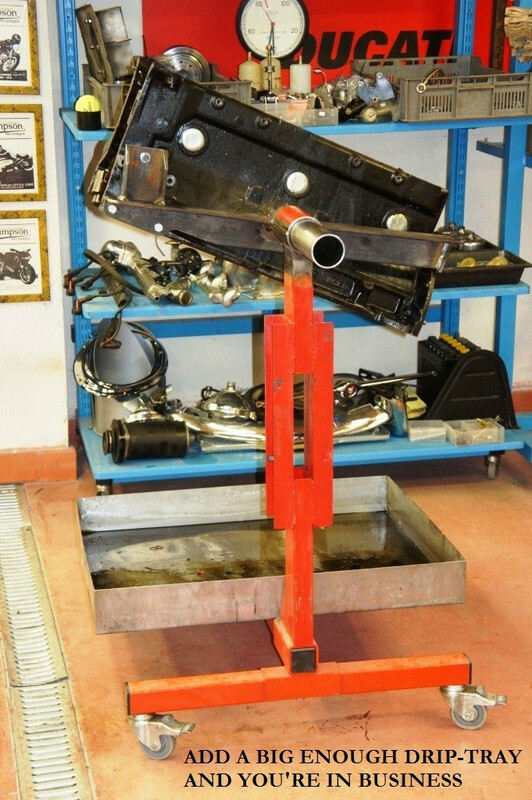 Needing a second engine stand for something big like the bonnet but otherwise interchangeable? Yes, Geoff, I hadn't thought of that - great idea. 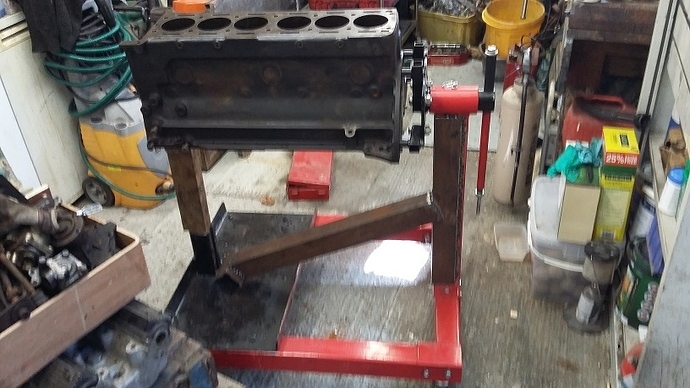 A second identical engine stand would make a great twin for a bonnet rotisserie, and enable you to move the whole lot around on casters, with a little care, which my steel trestles of course won't do. My spit-pipe is more like 80 or 90mm from memory, which is an overkill but I was re-using the Mini Spit and attendant clamps and rings. 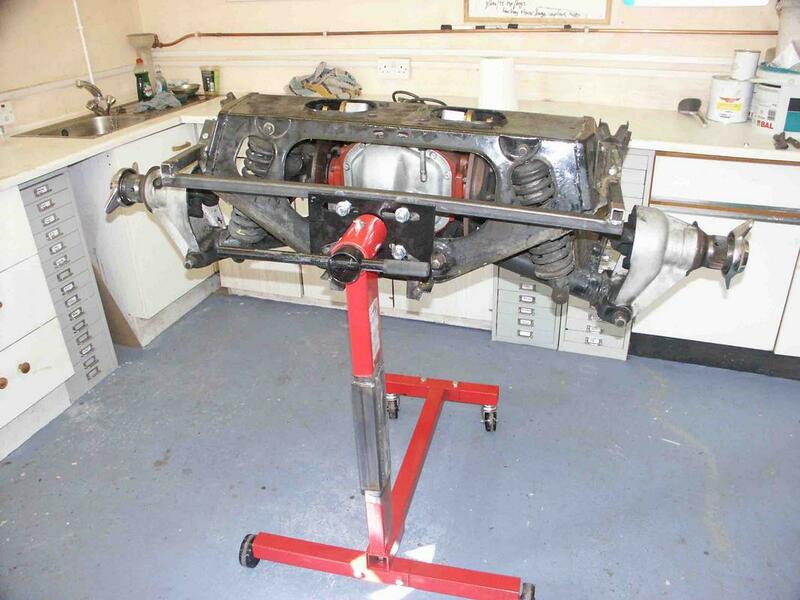 I don't think I would have stuck the Mini on a pair of engine stands, as once the sub-frames were in and I was climbing inside the shell with it upside down it ended up quite heavy. The bonnet however would be fine on 60mm pipe, the only real load is at the nose end and the overhang is quite modest. 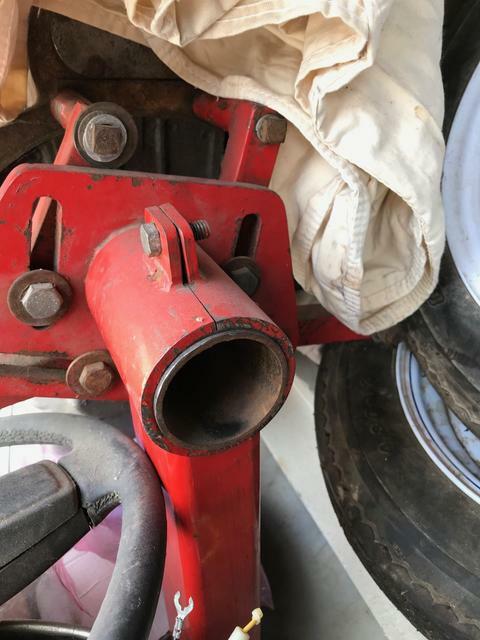 The key to being able to make the spit fittings a doddle would be to find a supply of collars or sleeves with a 60mm bore, from which you can make both pivots and clamps. Last edited by rfs1957 on Wed Apr 18, 2018 10:06 am, edited 2 times in total. The door jig is a fab idea , but sorry to say that's where it ends for me . Maybe others see it different ? 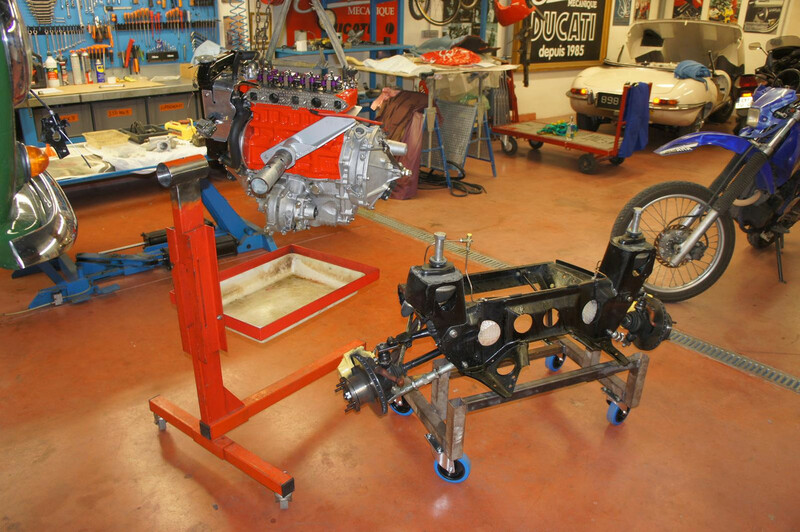 , i see a top heavy 3 wheeled engine stand of the lowest capacity with a modified raised centre of gravity just asking to be tipped over . 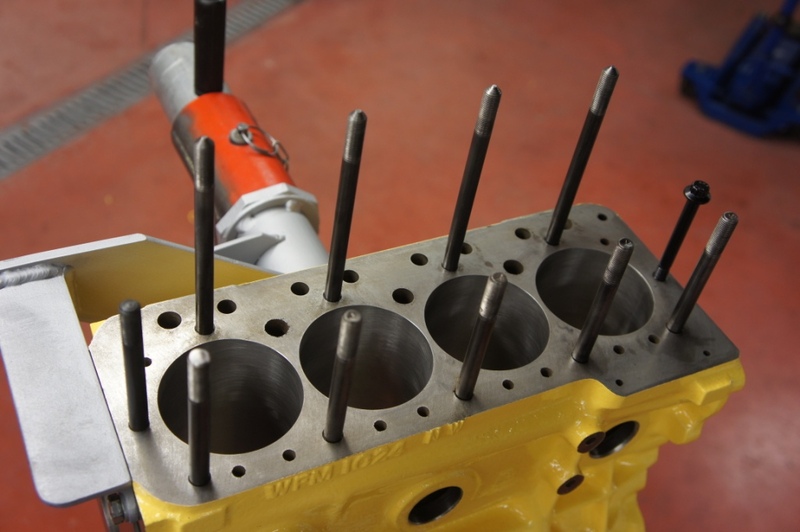 If you had used the engine stand as in this thread it would have been more suitable for an xk -- but then it would be overkill and bulky to use for a door jig etc ? . 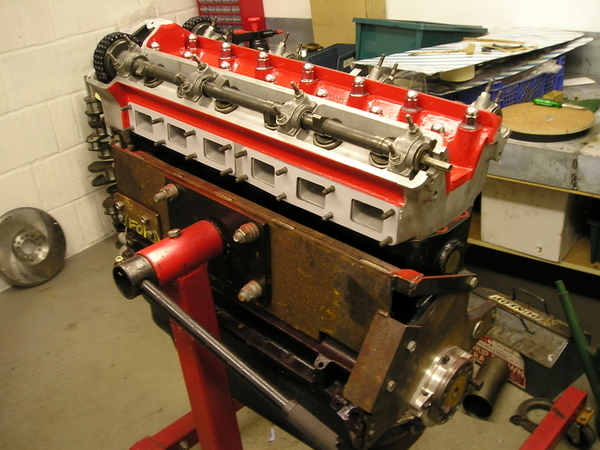 I have the exact same stand as Kingzetts's , £45 new IIRC , used recently to build a Lotus Twincam , i would definitely not trust it with an xk engine. Yet everyone does trust them with XK engines, complete with with a massive overhang, and to my knowledge nobody has ever broken one. 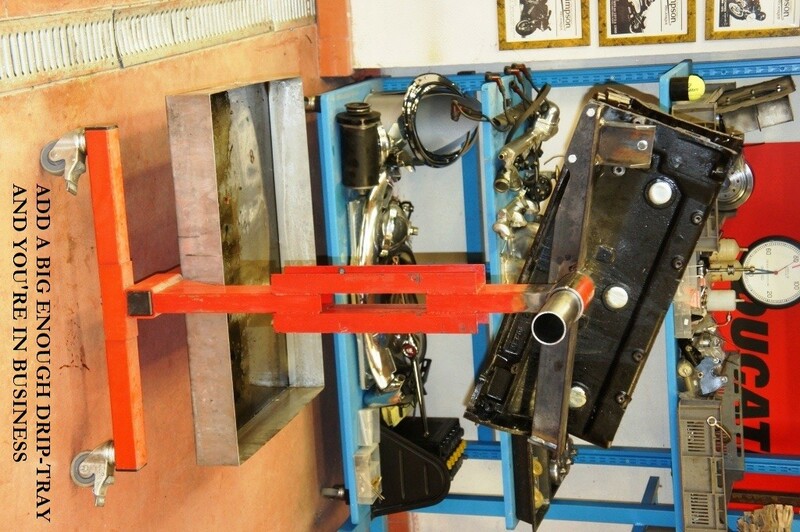 The smallest Clarkes or Machine Mart stand is rated in that overhung configuration at 340kg. 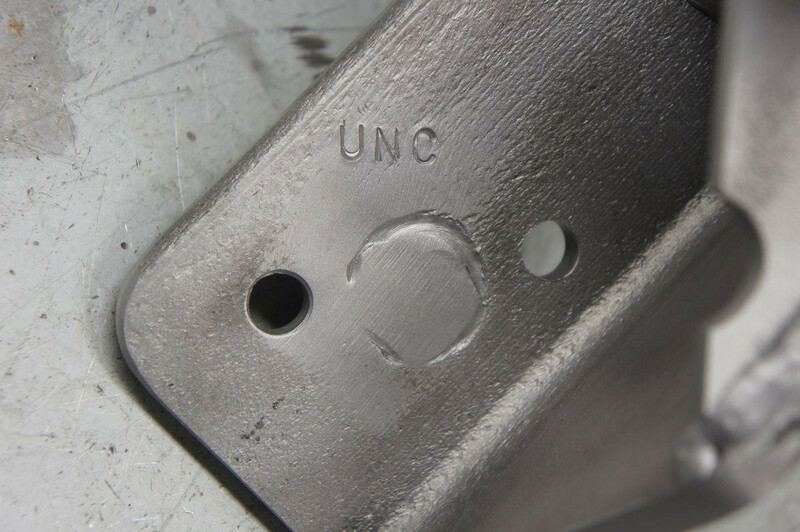 This Side-Bar version reduces the torque on the neck and the foot (the places that carry the highest loads) by a factor of three, at a guess, and the complete XK is anyway nowhere near 340kg. Stability ? In absolute terms yes - but because the overhang is only a third of the distance from the neck, the C of G lies above a much wider (safer) zone of the stand's triangular foot-print. 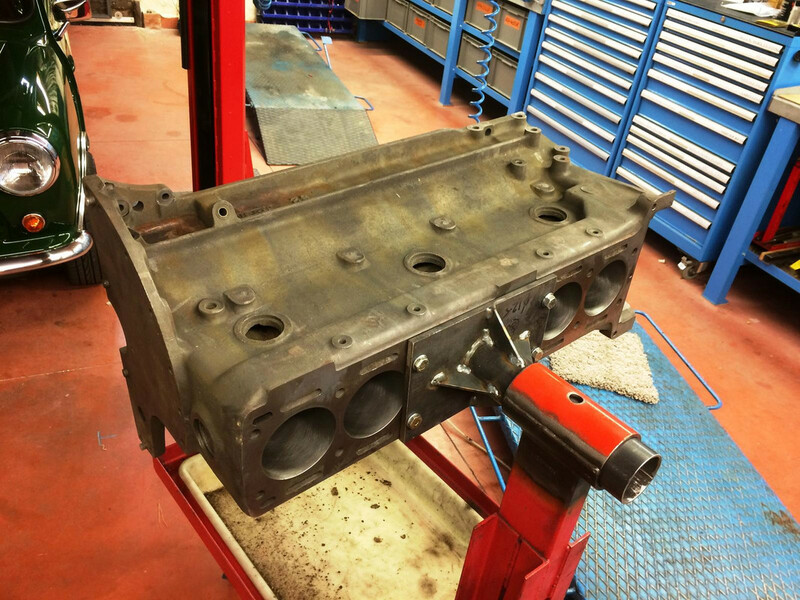 The engine stands that people buy are indeed lower - and safer - than mine, which was modified for working on Go-Kart engines at a comfortable height, but at no point did the XK feel leery whatever the assembly state. There will always exist an impact big enough to trip up any engine stand, but short of reversing into it I'm not sure where I'd ever find an activity in my workshop that might provide it. 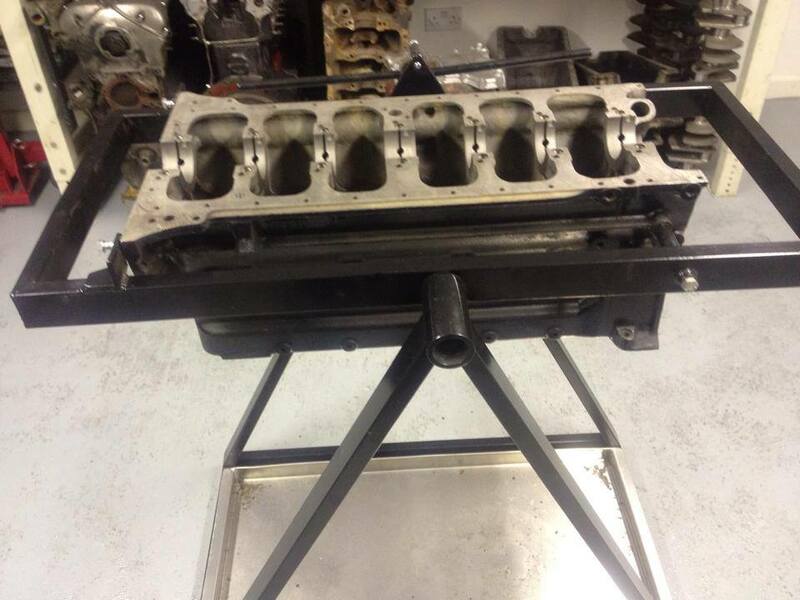 Some good ideas on here love Steve 3.8s set up! Regards Gerry 62 Ots Ontario Canada. Great share of the sideways mounting. 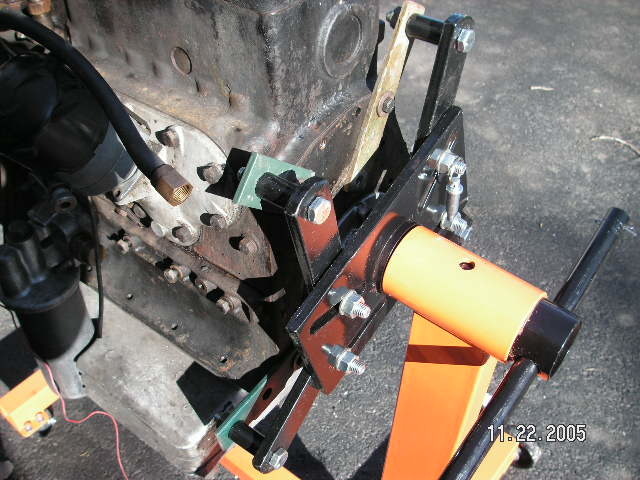 I will make a holder for my next engine rebuild. Here is a change I like that allows locking the engine in any orientation by clamping the round adapter tube in the engine stand holder. 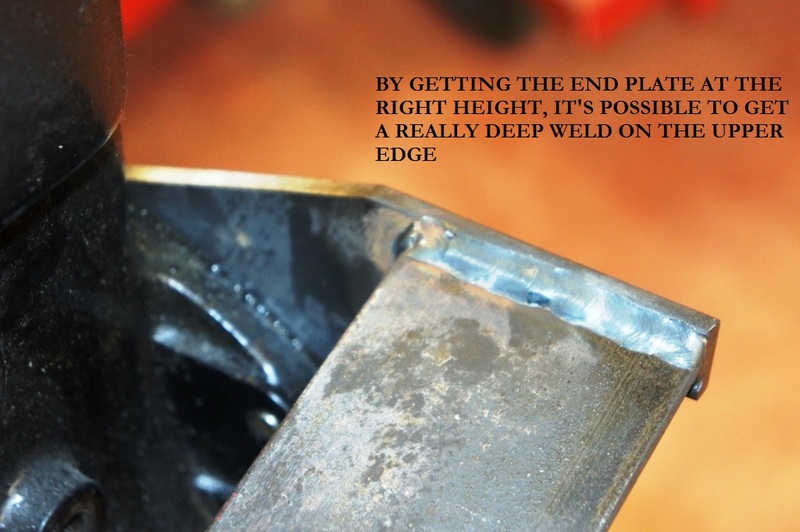 Slit the engine stand and weld two plates and add a bolt. Tighten the bolt and close the gap firmly holding the adapter tube. Last edited by Geoff Green on Wed Apr 18, 2018 1:49 am, edited 4 times in total. Are you going to start selling these? A minimum of curtesies brightens all our days up, I see from your other posts that this is a constant. SNGB haven't given a date yet, they're pretty advanced and as soon as they are available I will add the info here. 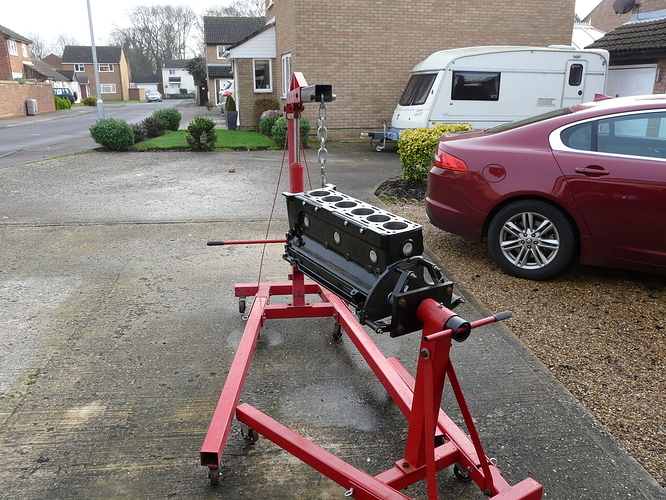 Now made one for Holding-And-Rotating-Engine-Block-Whilst-Cleaning-And-Painting. Better lock up my stock of 60mm tube. 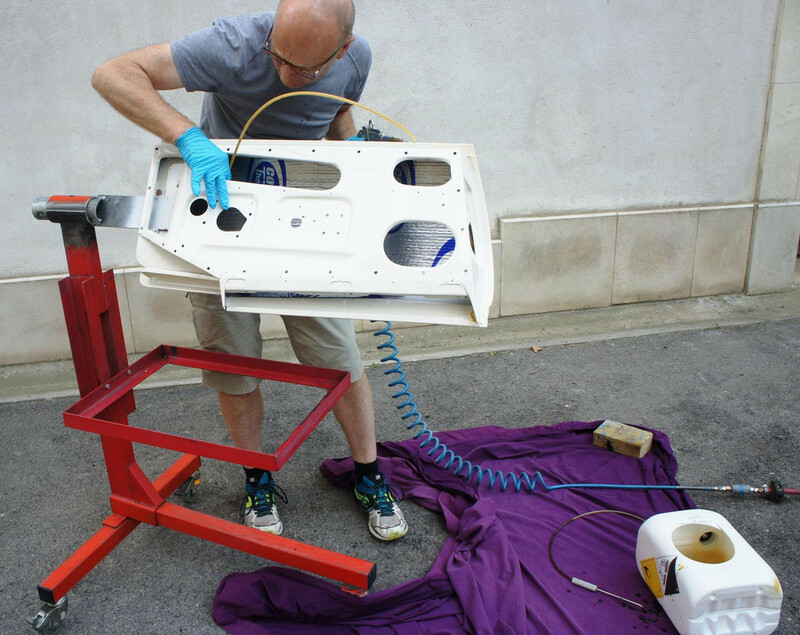 Works brilliantly, easy to take the block outside for wire-brushing, de-greasing, and - shortly - spray painting. I have resisted making one for the head (only because I ran out of 60mm tube). Call the doctor? I think it's too late, Rory. You've obviously not been taking your medicine properly.